Yes, there are political and currency risks, but they can be mitigated, and investors can be rewarded with high returns, three money managers at Morningstar conference argued. Ho Chi Minh City. 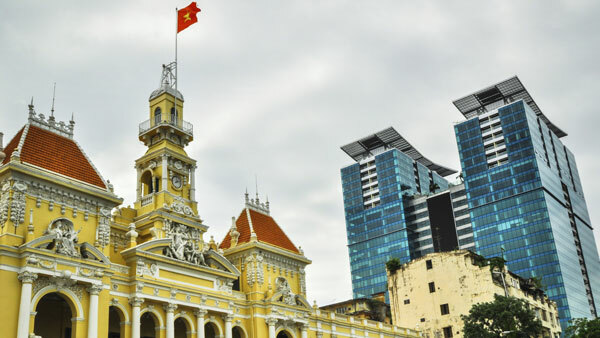 Portfolio managers are bullish on Vietnam. The final frontier may sound like some place only Captain James T. Kirk might boldly go, but he would not be alone. Advisors who want to invest in these nascent markets on behalf of their clients can be well rewarded with double-digit returns as long as they diversify and manage risk, noted three portfolio managers exchanging views at the 2015 Morningstar Investment Conference in Chicago. Geritz said that China was crucial in propelling the Asian frontier countries — and had ulterior motives for backing those markets in its sphere of influence. “Look at what China is doing, trying to be a superpower and establishing a reserve currency,” she said. “And to do that, they are investing across a lot of frontier countries.” She noted China’s sovereign and development investment made up as much of 20% of Pakistan’s GDP. Frontier countries do well “in spite of their politics,” she said, adding that what’s occurring in many of these countries is “positive,” such as in Nigeria, which just had an election “that went our way,” and Sri Lanka, which recently voted for democracy. “Democracy is messy; it’s not linear,” she said. Ishida added that these countries also “learn to work within” political changes. Of the two key risks, political and currency, political is short term, noted Pradipta Chakrabortty, portfolio manager with Harding Loevner. He also said these countries lack correlation, so if one is doing poorly, it doesn’t affect a nearby country. He noted that when Kenya is doing poorly, it doesn’t affect Nigeria. The internal managers focus on their countries and not on others, he added. Geritz admitted that while there are risks, if an investor is well diversified in the countries (and all managers believed the MSCI emerging market index was too narrow and didn’t include what they considered ‘frontier’ markets), managers and investors can be well rewarded. — Check out JPMorgan’s Kelly: ‘You Gotta Get Invested’ on ThinkAdvisor.